Thanks for joining us on the Hampton Arts blog! 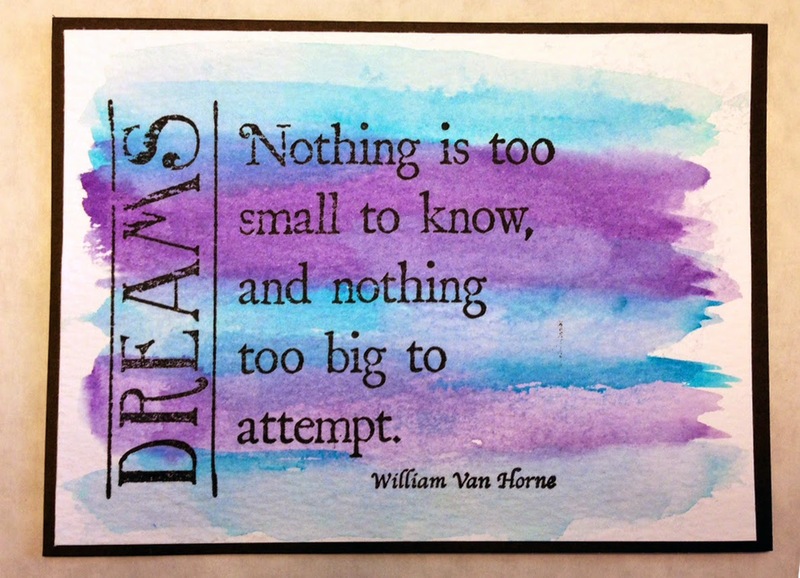 Today I have a quick watercolor card using a Jillibean Soup / Hampton Art Handwritten Sentiments stamps. I really like this sentiment. 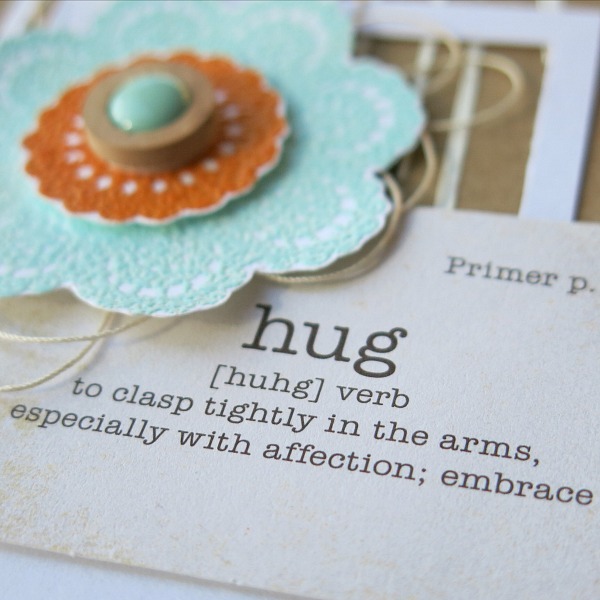 It is great for a casual hello card, or it could be used as a card for many other occasions in a pinch. Watercolor is a technique that never goes out of style. Today I paired it with some artsy wood sentiment stamps from 7 Gypsies / Hampton Art. 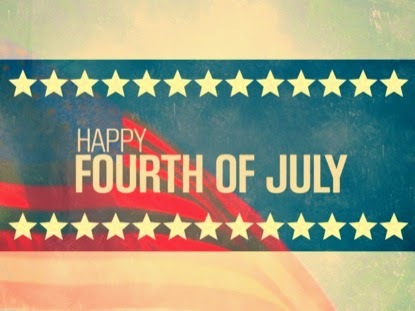 Hi everyone, Lori here with you today with a great card for the month of July. Summer is upon us and who doesn’t long and dream of the beach? 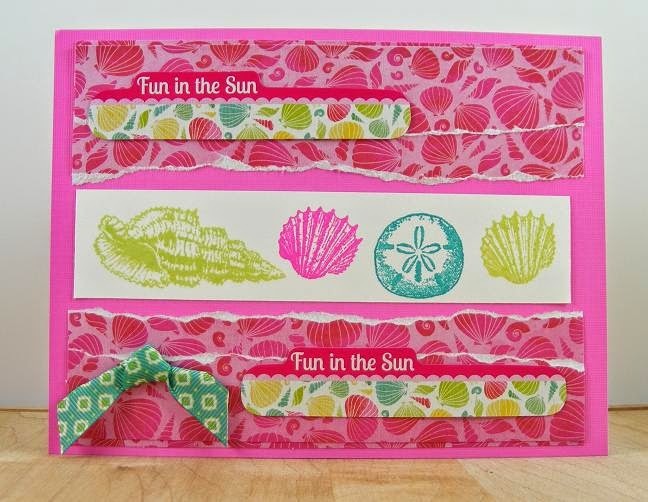 The Graphic 45, By the Sea stamp set makes ocean cards a breeze to create. 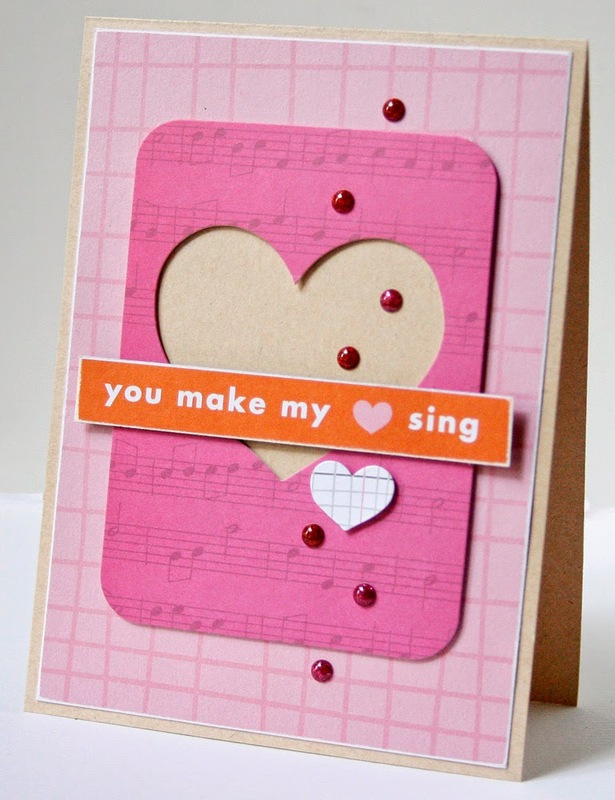 To create a card similar to this one, just follow these easy steps. Cut a base piece of paper 5” x 7”. Cut 5 strips of designer paper and layer on top of the red designer paper and glue to the base card. Cut the girl picture from the paper collection and layer on red paper and then plain cream card stock. Ink around the edges of the cream paper and mount on the center of the card. 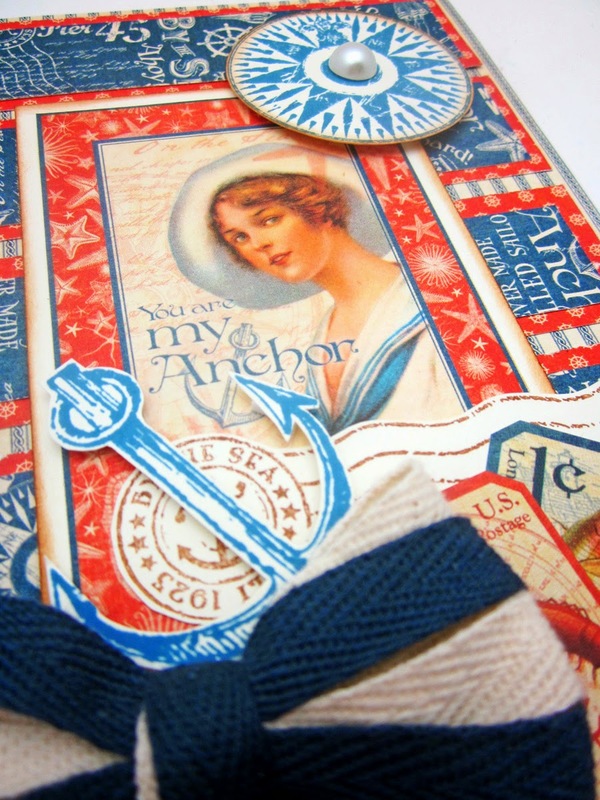 Stamp the anchor and the compass stamp on cream card stock and fussy cut out. Stamp the post mark stamp with brown ink and fussy cut out. 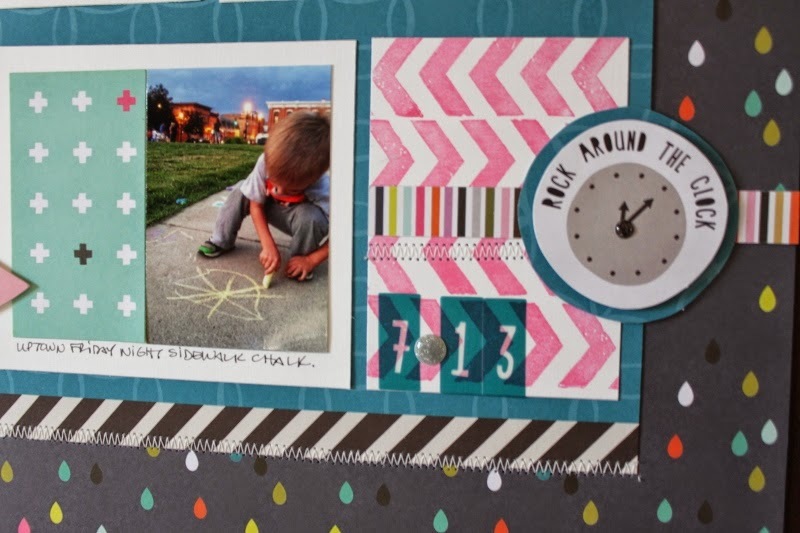 Layer the stamped images in clusters as shown along with some of the postage stickers from the paper collection. 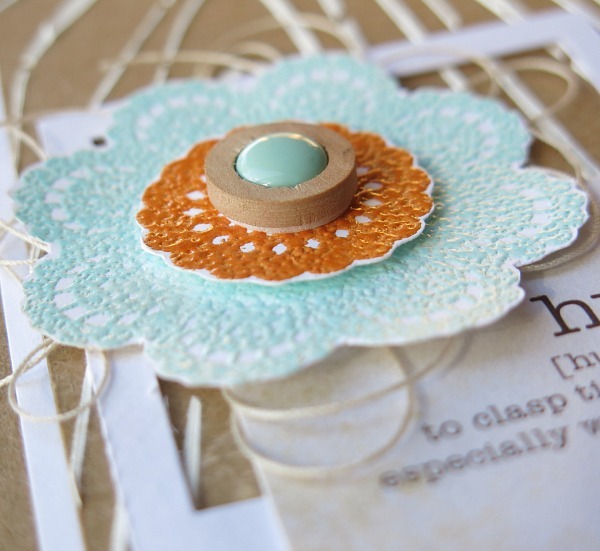 Finish off the card by mounting a pearl in the center of the compass and adding ribbon. 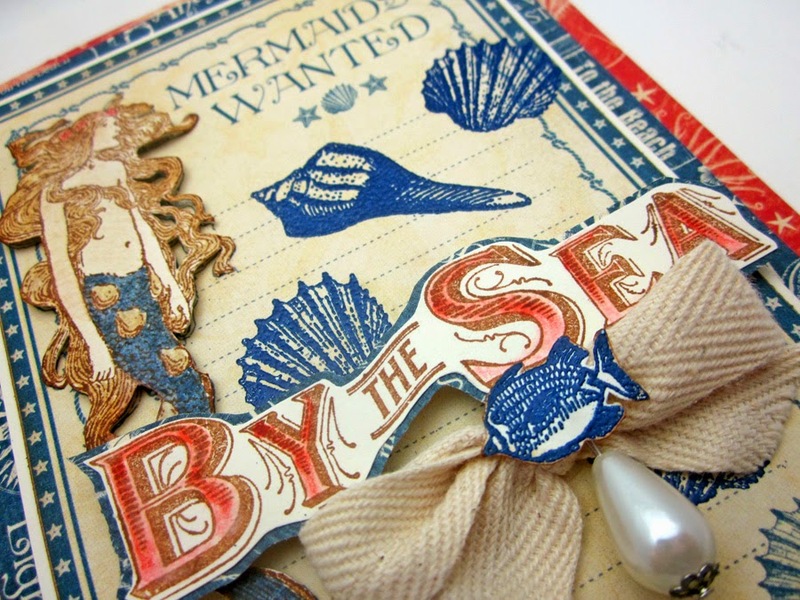 Other Products Used: G45 By the Sea Paper and stickers, foam tape, brown and blue inks, canvas ribbon, half pearl. 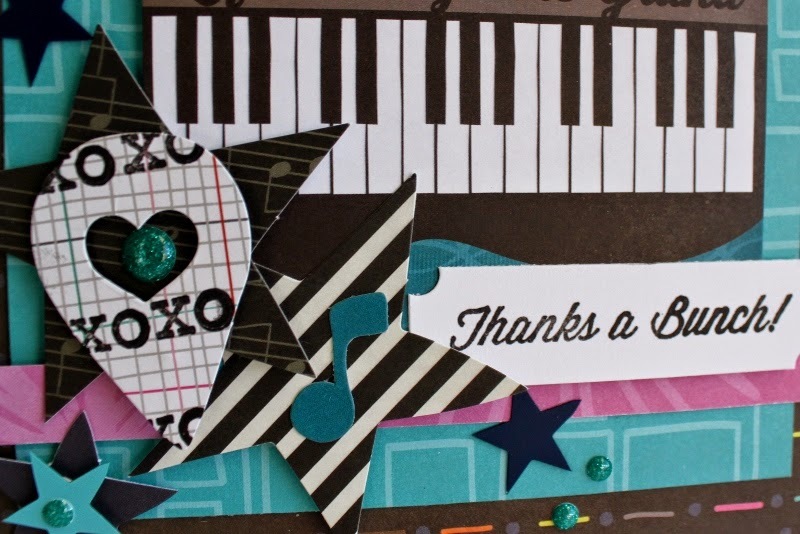 When it came time for a special thank you card for my husband I reached for the new KI Memories Playlist collection papers & diecuts paired with the new Jillibean Soup Stamp & Stencil set for the sentiment. He is a pianist and this collection was perfect for him. 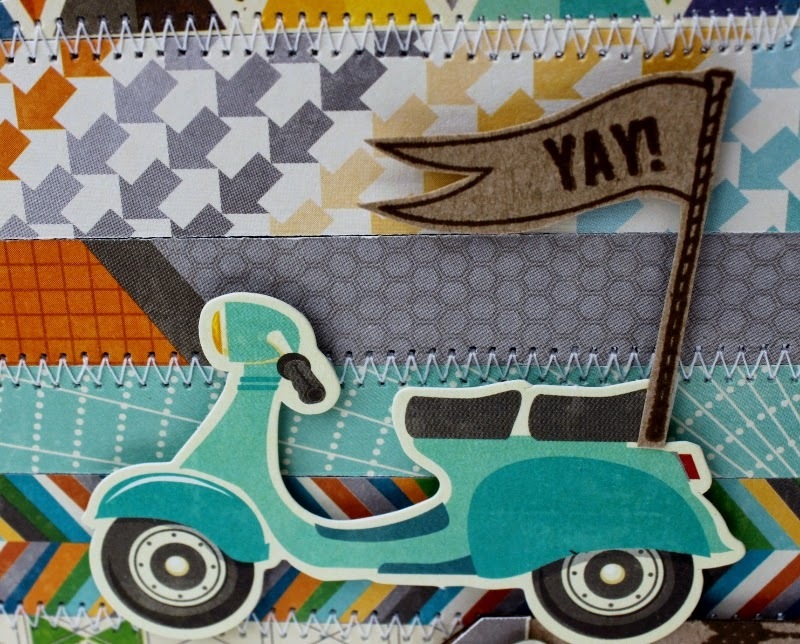 With such a fun collection of papers & stamps, how can you go wrong? 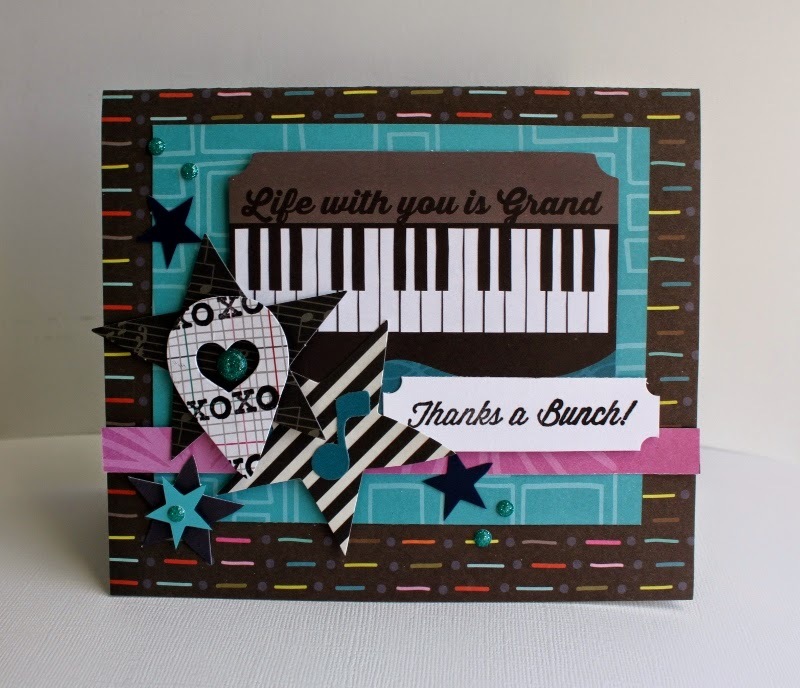 Make someone’s life a little grander with this specialty card. My mom retired two weeks ago, so I'm thinking of sending her today's card in celebration of her finally earning a well-deserved rest. The geezers are from the His and Her Campers clear set, but the sentiment is from the His and Her Flying High set. Make card base for a 4.25” x 5.5” card and round corners. Blend background with Gamsol and create "grass" along horizon and around chair legs, etc. Round corners of stamped panel and adhere to card. Stamp sentiment on scrap paper and draw a "tail" from the sentiment. 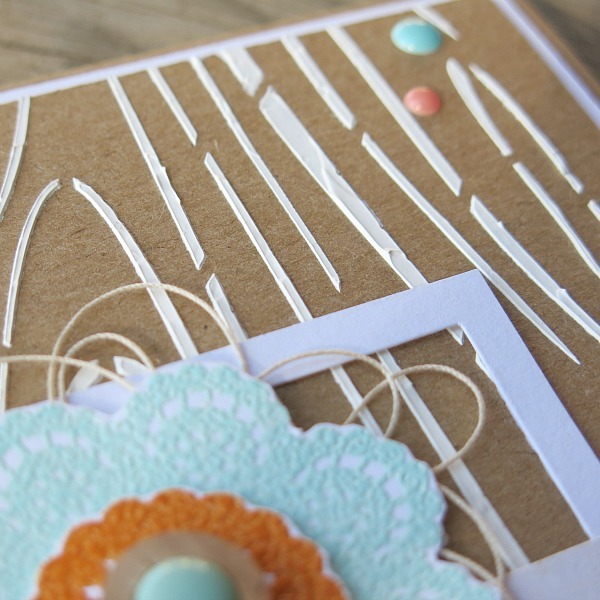 Cut sentiment, round corners, and adhere to card. Hello and welcome... it's Melinda with you today and I'm sharing a card I created using the beautiful earthy tones from Ki's 'Metro Garden' collection. I must admit I'm a huge fan of the 6x6 paper pad when it comes to card design as they are the perfect size and have multiple copies of each design. Metro Garden combines a neutral color scheme with modern and 'on-trend' patterns. 1. Cut and score cream cardstock to create a card measuring 5.5"x4" when folded. 2. 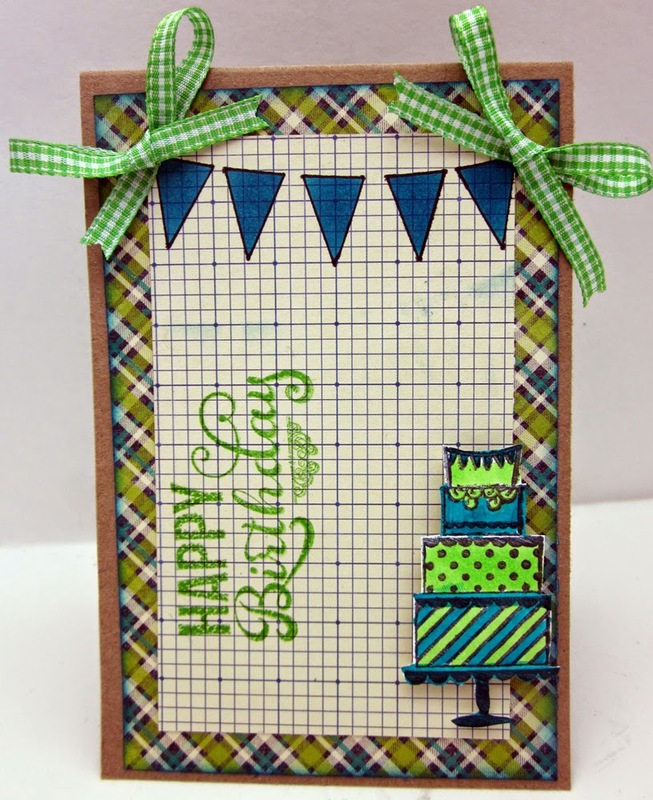 Cut a single sheet of patterned paper to measure 5.5"x4" and adhere to the front of the card. 3. Cut a piece of patterned paper to measure 3.5"x3.75" and adhere an eighth of an inch down from the top of the card. 4. Cut a piece of alternative patterned paper to measure 1.75"x 3.75" and stamp the sentiment on the right hand side before adhering an eighth of an inch up from the bottom of the card. 5. Cut a piece of ribbon to measure 3.75" and adhere over the join of the two papers. 6. 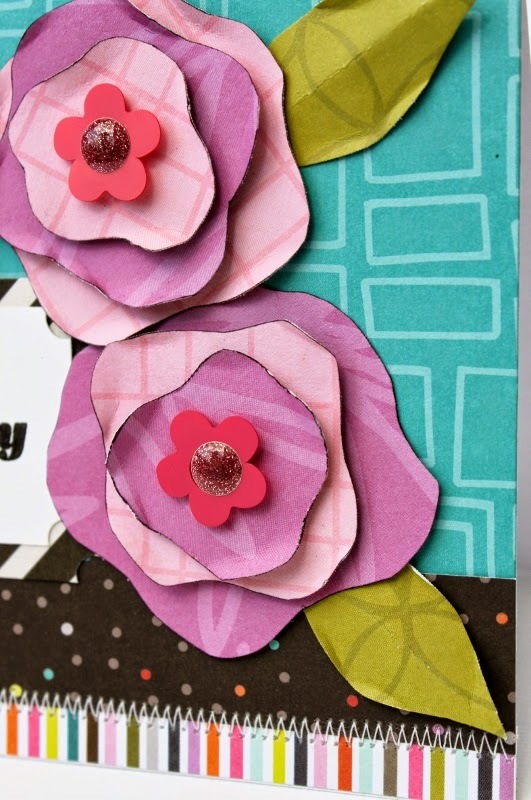 Fussy cut several flowers, leaves and stems to create a collage and mount with foam pop dots. 7. Tie a bow using the ribbon and adhere to the ribbon. 8. Add a few epoxy dots finish the overall presentation of the card. Hi there! I’ve got a simple card to share with you today using the KI Memories “Playlist” collection. 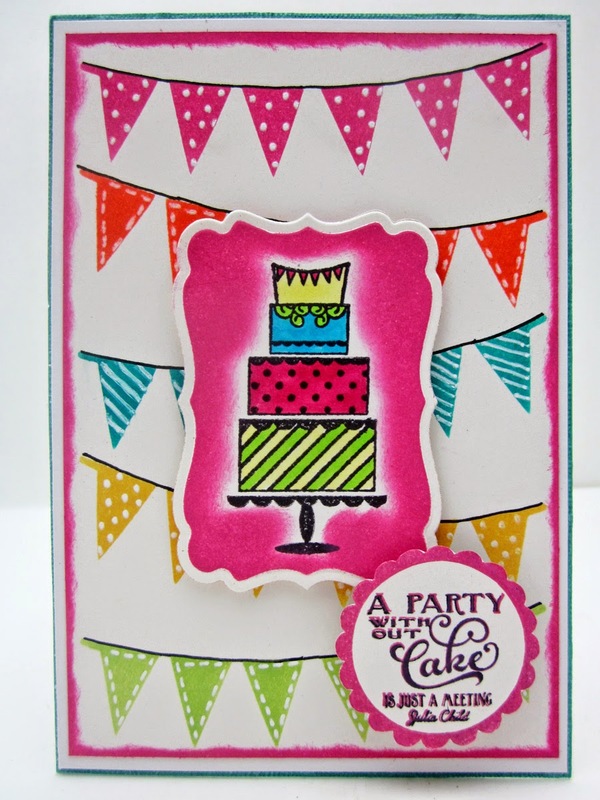 I used one of the pink patterned papers in the line to create the background for the card. I added the heart die cut card (all those Project Life die cuts you have are great to use on cards too!) 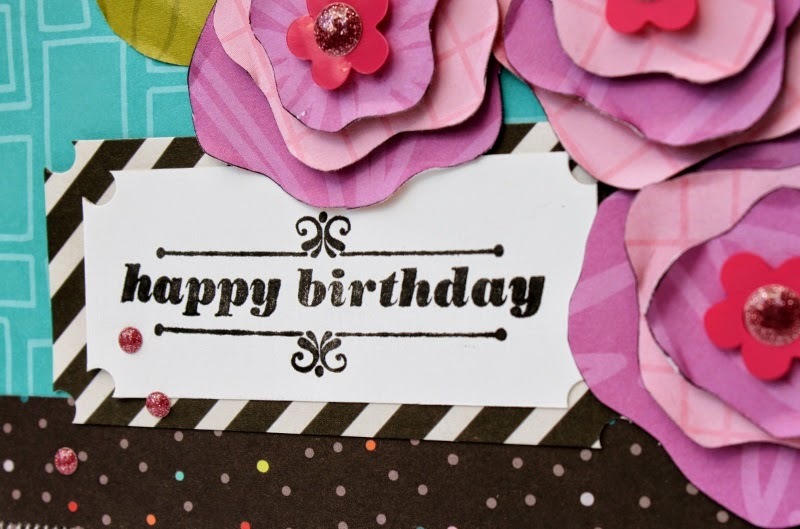 to the center of the card and then cut the sentiment out of a different sheet of patterned paper. I added a small die cut heart below the sentiment and then added some fun glitter dots to embellish. Easy! Hi! I tried to go a little more masculine on this card using the “Playlist” line from KI Memories. No pinks or purples on this one! The “Playlist” line is great because it does have a mix of girly and more masculine colors. 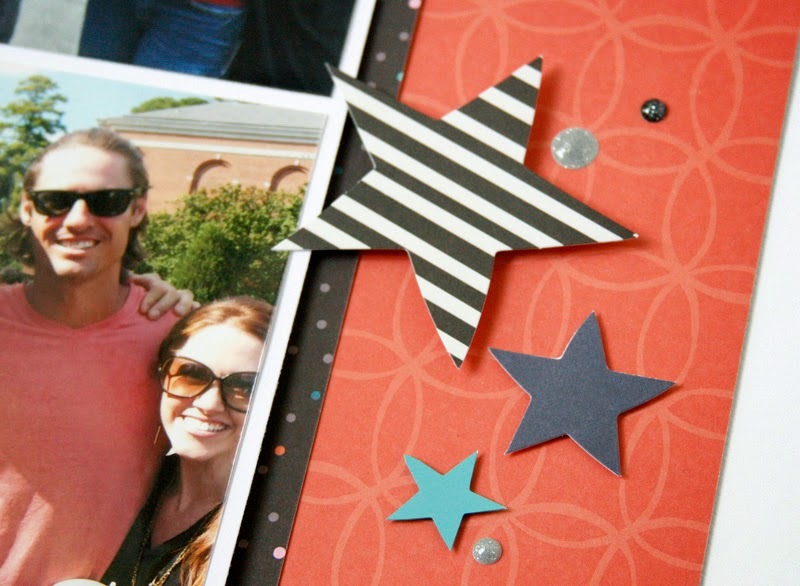 And stars always seem to be my go-to embellishment for masculine projects! Hi there! I’ve got a “thank you” card using the KI Memories “Playlist” line to share with you today. 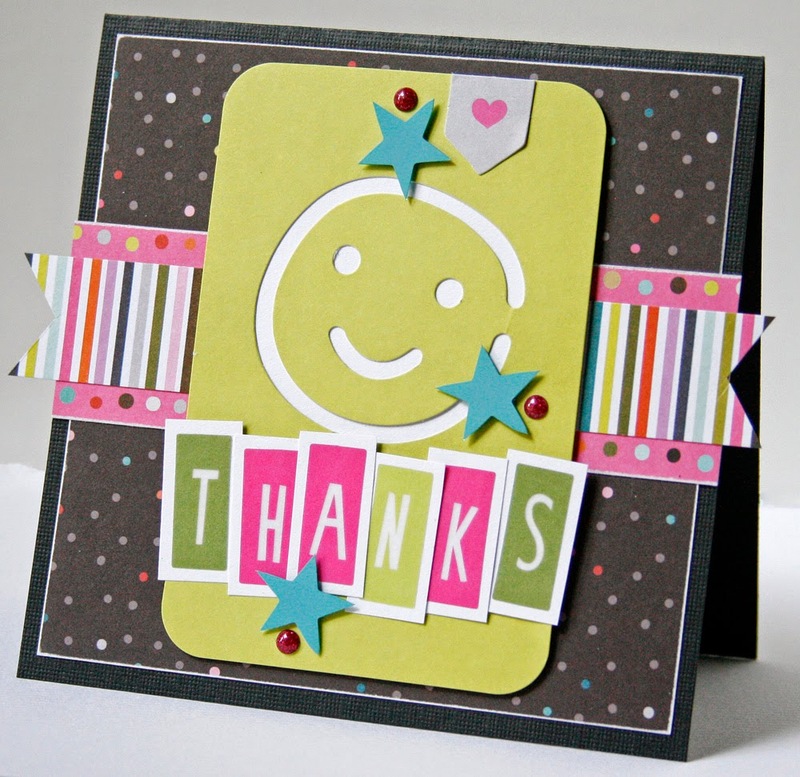 I made the background of the card with patterned paper and the smiley-face die cut card (so fun!). Then to make the title I adhered the vellum alphabet stickers from the “Playlist” line to white cardstock first and then cut them out with a white border around the edges. I just thought the white paper helped the letters stand out better! Then I embellished the card with the starry confetti and some glitter dots. Sometimes we need a card to make someone smile or to lift their spirits. 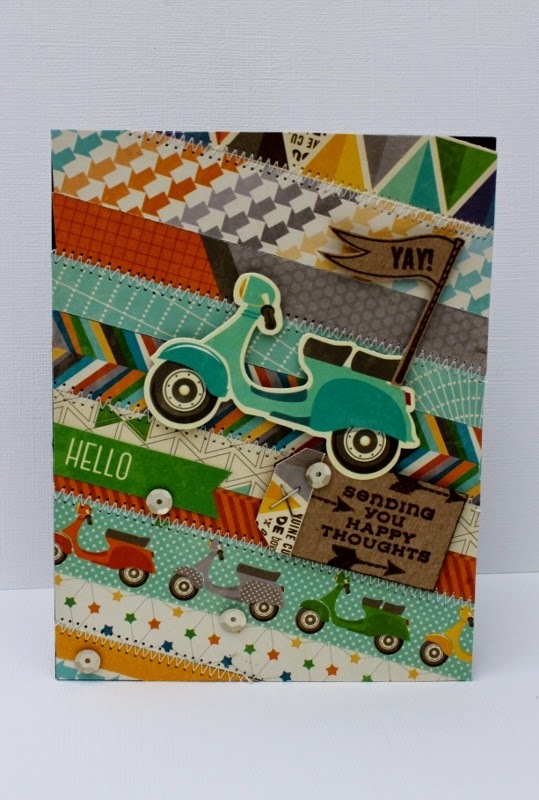 This is one of those happy cards created with a new Hampton Vintologie Stamp and Stencil set and Jillibean Soup, Cool as a Cucumber papers and diecuts. I started out by cutting 11 strips of coordinating paper in different widths from my scraps. I attached those in a diagonal pattern as shown across the card with adhesive and then using my sewing machine I stitched every other strip for added texture. Then to create the sentiment tag I used the Vintologie Stamp and Stencil sets “Sending you Happy Thoughts” sentiment and then adding three arrows in brown ink onto plain kraft paper. Then I added a strip of paper on the tag end and trimmed the corner and stapled an “x” onto the end. The tag was then added as shown with foam dots. After that I added the diecut scooter from the Jillibean Soup/Cool as a Cucumber Collection with foam dots as well. The “Yay” flag was also stamped onto plain kraft paper in brown ink and added to the scooter with foam dots. Last I added some metallic sequins for a bit of bling. There you have it, a playful card sure to lift anyone’s spirits; but don’t take my word for it- give a try and put it to the test. Let me know how yours turns out! 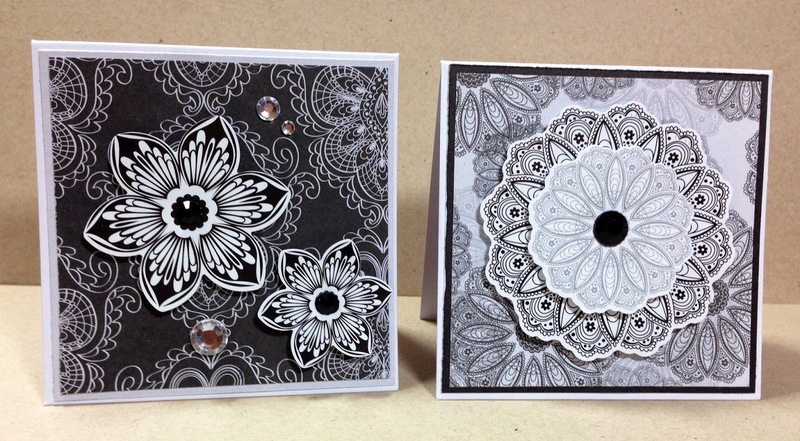 It's easier than ever before to put a cute spin on your cards using Hampton Art's Stamp and Stencil sets. 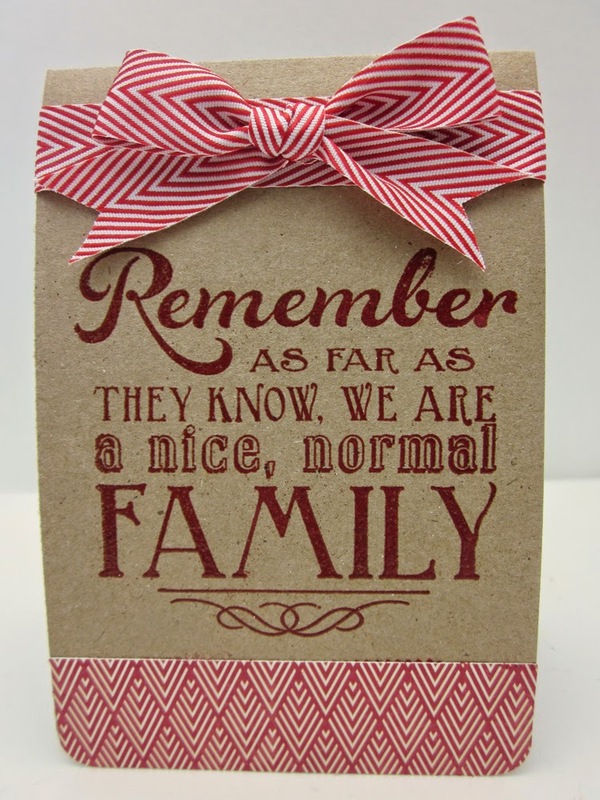 I was able to quickly add my stenciled banner to the top of the card, and stamped the sentiment. The cake was stamped, colored and fussy cut - and then added to the card with foam dimensionals. It's fun and festive, and everything comes together quickly. Hi Hampton Art lovers, Lori here with you today sharing a fun and poppy birthday card. 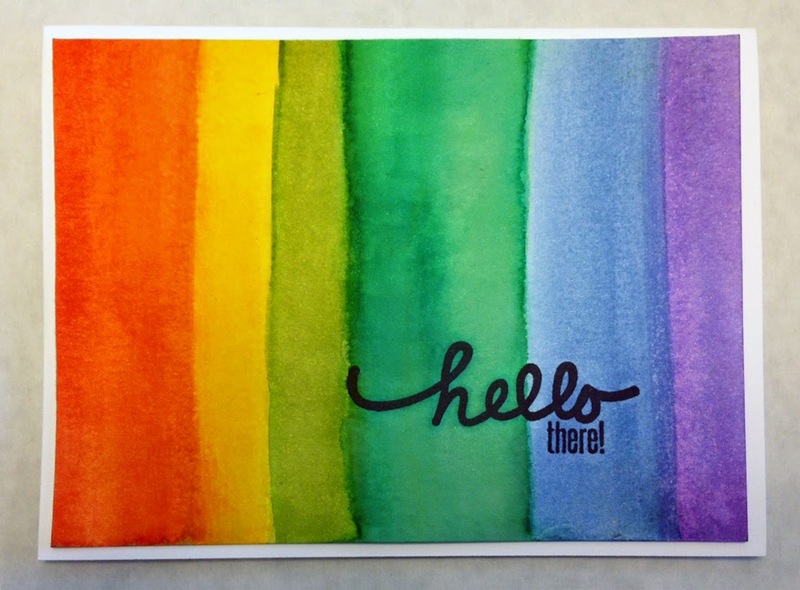 I challenged myself just a bit with this one as I used only white cardstock paper to create this happy card. Hampton Art stamps and stencils made it really simple and I adore the finished work. I started with plain white rectangle of cardstock and laid the stencil from the Vintologie (SC 0646) over the top of it. Using bright pigment ink I colored in the banner with various colors and let dry. Then I lined and or doodled on each of the banners using a white pen. I used the pink ink to distress ink the edges of the rectangle. 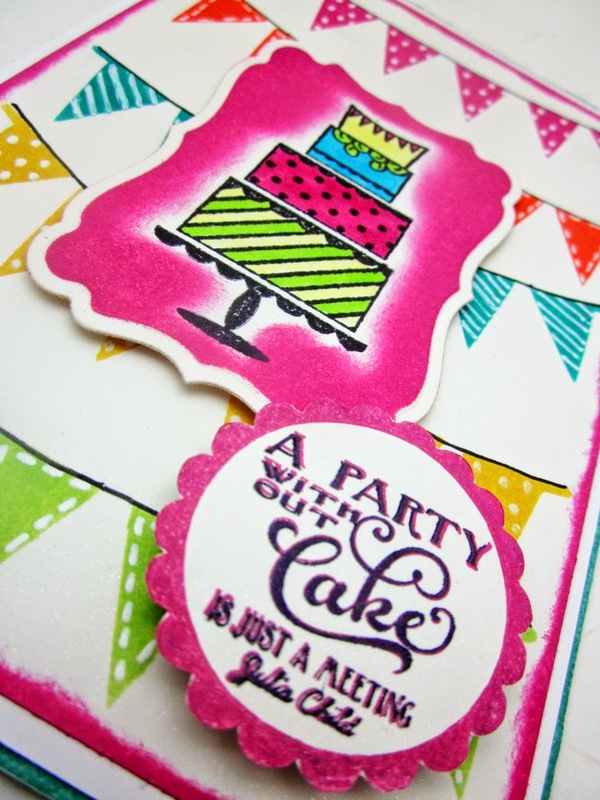 Next I stamped the cake stamp from the same collection using black ink and then colored in with markers and cut it out with a die. I distressed inked the edges with the bright pink color. I made sure to leave a bit of white around the cake which makes it stand out and almost pop of the page. Using foam tape I mounted to the center of the base banner card. Lastly I stamped the sentiment using black ink then restamped just a bit askew using the pink ink which gave the sentiment a little bit of a highlight. I punched out the sentiment and then punched out a doily and colored it with the pink ink then finished off by mounting to the card with foam tape. I then added several layers to the base of my card for some detail and build up and the base layer was inked with a turquoise blue for a hint of color and to finish everything up. 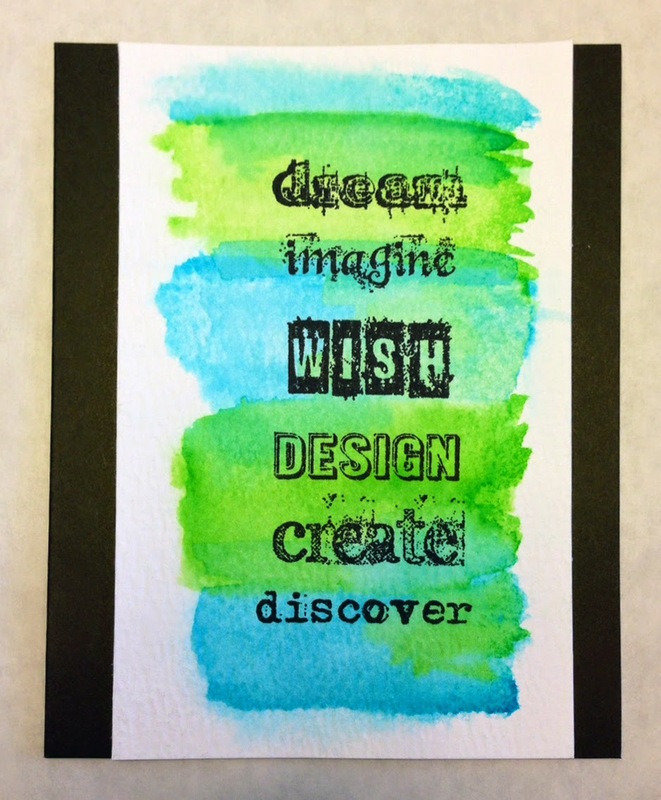 Happy crafting and I challenge you…can you make a card using just stamps, stencils, ink and white cardstock? The challenge is fun. Thanks for joining us on the Hampton Art blog today! I made a set of mini cards using the Ki / Hampton Art Modern Elegance 6" x 6" paper pad and sticker flip pack. The sticker flip pack comes with more than 100 pieces and includes stickers and self-adhesive gems! I thought these cards would be fun to add to a small gift for weddings or other occasions. Time today to share a fresh bouquet of KI Memories flowers made from the Playlist Collection just in time for a Birthday delivery. 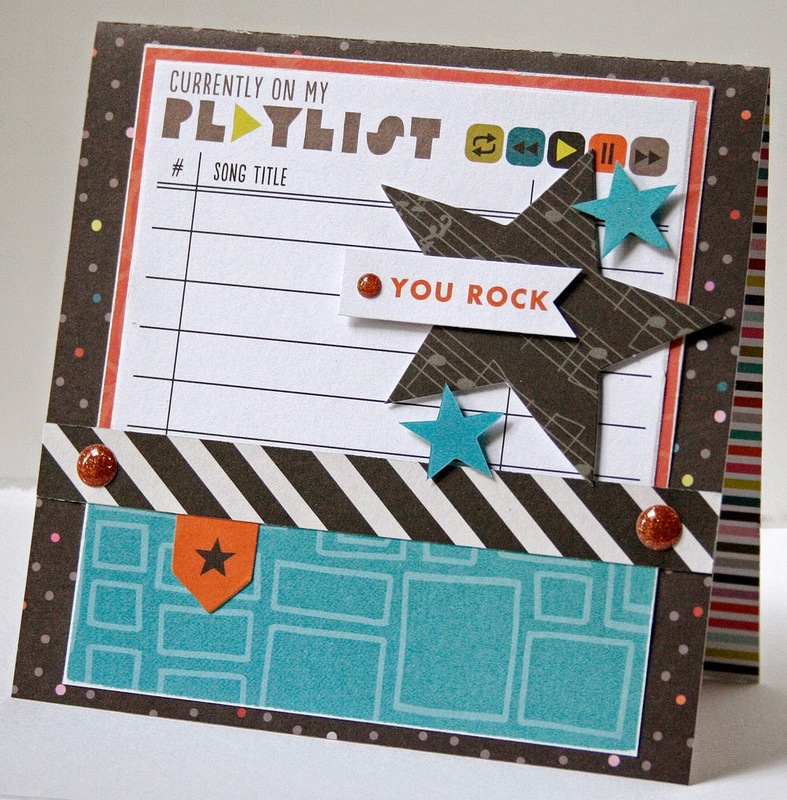 The Pop Icon paper was added as the main card base with border strips of Volume front and back sides. Next I stitched with my sewing machine between the border strips with white thread. 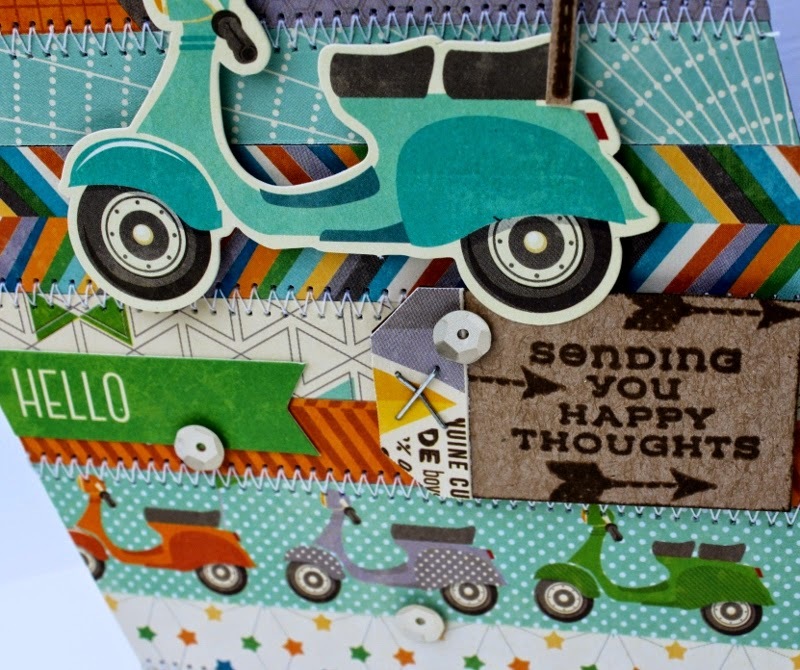 Last I created the sentiment panel using Alternative paper diagonal stripes cut like a ticket stub. Then I stamped the sentiment using “Happy Birthday” stamp from the Vintologie Stamp & Stencil Set #SC0642 in black ink and trimmed as a ticket stub as well. Just three little glitter dots in pink and the card was finished. 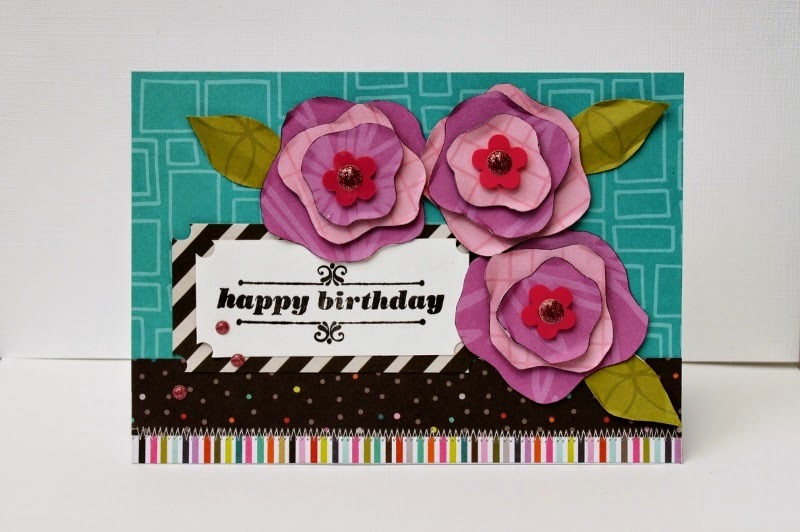 Not merely a card but a birthday bouquet bursting with energetic color and depth. Do you think it worthy of sending? I say yes. Welcome back to the Hampton Art blog! Hi, it’s Deborah here with a card I made for my best friend from high school. Angie is a dachshund lover and owner, and it was some fabulous luck that the His and Her Campers clear set has one! The His and Her Campers clear set is from Art Impressions and is licensed through Hampton Art. The only thing better than this is the fact that you can now buy this set at Michaels (and four more sets that are equally fun)! If you missed it, there was a dandy blog hop featuring this sweet collection - check it out on the Art Impressions blog here. Make card base for a 4.25” x 5.5” card. Cut 4" x 5.25" patterned paper panel and patterned paper strip. Adhere PP strip to PP panel, add washi tape, and adhere to card base. Die cut white paper but don't remove paper from die. Use the die as a mask and apply ink to the die cut. 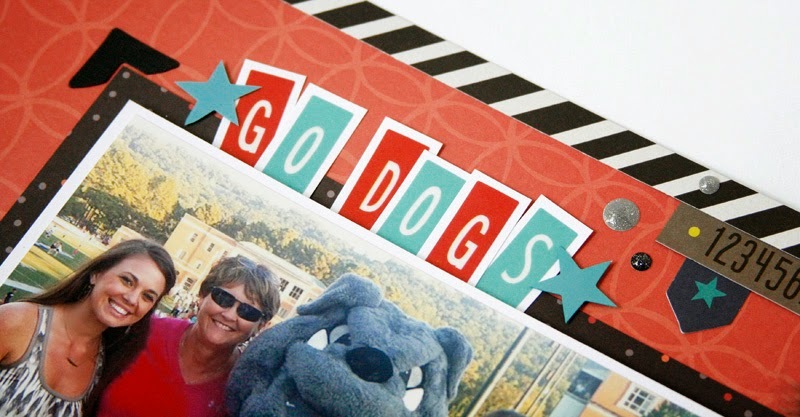 Remove die cut panel from die and stamp sentiment and dog. Color in dog using colored pencils and adhere to card. Thread buttons and adhere along with enamel dots. Hello and welcome... it's Melinda with you today and I'm sharing a card I created using one of the gorgeous Hampton Art/Spellbinders 'Shapeabilities' sets. 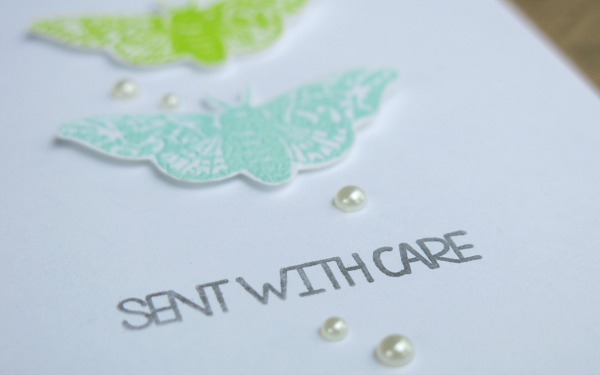 I wanted to create a very subtle card to suit the sentiment so decided to use a repetitive pattern of the butterfly starting from the boldest colour working down to the palest which would lead the eye down to the wording. Each piece was stamped and heat embossed before I put it through my hand embossing machine to use the cutting die before adhering to the card using a foam pop dot. Although I wanted to use black ink for the sentiment I felt that if left with 100% density it might be too overpowering so I stamped off some of the ink and used the second impression on my card. Once everything was in place I felt that the design was missing something so after a few trials with sequins and epoxy dots I settled on adding a few mini pearls to the card. I had to laugh when I saw some of the funny sentiments on Hampton Art's LOL line of stamps - and after having a family reunion a couple of weeks ago- I thought this one was perfect. The sentiment was stamped with watermark ink and then heat embossed with red powder. I love how the patterned paper and the ribbon coordinated so well. Good morning! I’ve made a layout using the fun KI Memories “Playlist” line to share with you today! I kept this one pretty simple by adding the pictures to the center of the patterned paper background and then basically decorating around them. I matted the pictures on white cardstock first and then again onto a piece of black patterned paper before I adhered them to the center of the layout. I added 4 black photo corners around the black mat to help keep the focus on the pictures. Then to make the title I adhered the vellum alphabet stickers from the “Playlist” line to white cardstock first and then cut them out with a white border around the edges. 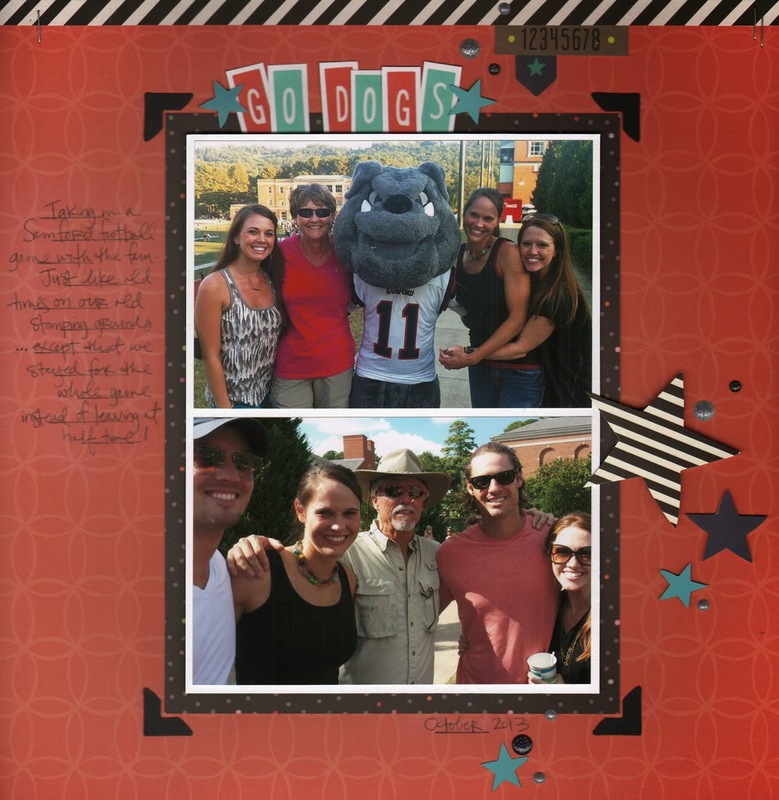 I adhered the title above the pictures and added journaling to the left side of the layout. I scattered star confetti and die cuts along with some glitter dots along the right side of the layout and around the title. When I got to this point I still felt like the layout needed something else. That’s when I added the black & white strip at the top. It added a little more contrast and coordinated with the black & white star too. It was a good finishing touch! Hello and welcome... It's Melinda with you today and I have a card to share that was created using one of the new Jillibean Soup - Stamp & Stencil Sets. I must admit I'm a huge fan of woodgrain and doilies so when these two patterns were merged into the one stamp & stencil set I knew it was the first one I was going to use. TIP | The stencils are quite pliable in comparison to other brands which make them ideal when you want a bit of flexibility to your design. So when it comes to washing your stencil and placing it back onto the clear plastic sheet I suggest that you lie the stencil down on a hard surface and have the backing sheet in your hand as it is stiffer and much easier to manoeuvre into position. The sticky reverse side was wonderful for keeping the stencil in place when I added texture paste to my cardstock and it pealed off again without any problems at all. And because the stencil is wafer thin you get a lovely crisp image. Using my current favourite colour combination of Mint and Tangerine I stamped and heat embossed two different doily designs then mounted them on top of each other using foam pop dots to create a bit of dimension. Hi, it’s Deborah here with a Sweet 16 birthday card, but feel free to mix it up to accommodate just about ANY birthday or an anniversary. All you have to do is color the necessary numbers and add a sentiment, or a die cut, etc. to suit the occasion. Don’t forget, there are more than birthdays and wedding anniversaries to celebrate! Other memorable accomplishments include the number of years a person has been cancer-free, worked at a job, been a member of an organization, been alcohol- or tobacco-free, etc. You can also use numbers to mark a reached goal, like the number of pounds lost, miles run, or school years completed. Make card base for a 4.25” x 4.25” card. Stamp numbers image with light grey ink. Color in numbers using colored pencil. Stamp sentiment with ink that coordinates with the colored pencil. Adhere washi tape and round the bottom corners. Apply Stickles to colored numbers and allow to dry. Thanks for stopping, and have a blessed day! 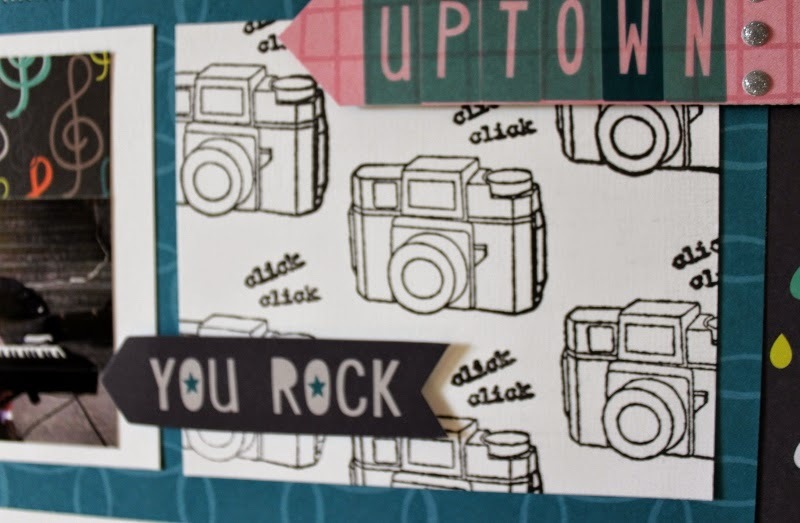 Have you ever created your own background papers using stamps? This layout featuring the KI Memories Playlist collection and a new Vintologie Stamp and Stencil set allowed me to try that technique. Both of the black and white camera papers on the grid were created with stamps from a Vintologie Stamp and Stencil set. Using white cardstock I stamped the cameras in black ink and set aside to dry. Next I chose the Blues paper as the background and the Alternative paper as the blue base of my grid. Next I stamped in pink ink the chevron stamp from the same Vintologie set as a border and a 3” x 4” card onto white cardstock. I added those pieces to my grid design and then added to wallet size photos, one horizontal and one vertical. To balance them in their space I added some more pattern paper blocks. Then I added some stitching with my sewing machine to the top, bottom and sides of my base mat. Then it was time to embellish, I added three diecuts with foam dots from the Playlist collection and made a title arrow using the stickers in the Playlist collection pack. Next I added a couple lines of journaling in black fine tip marker to tell the story. Finally I added some silver glitter dots to the title, date and clock. 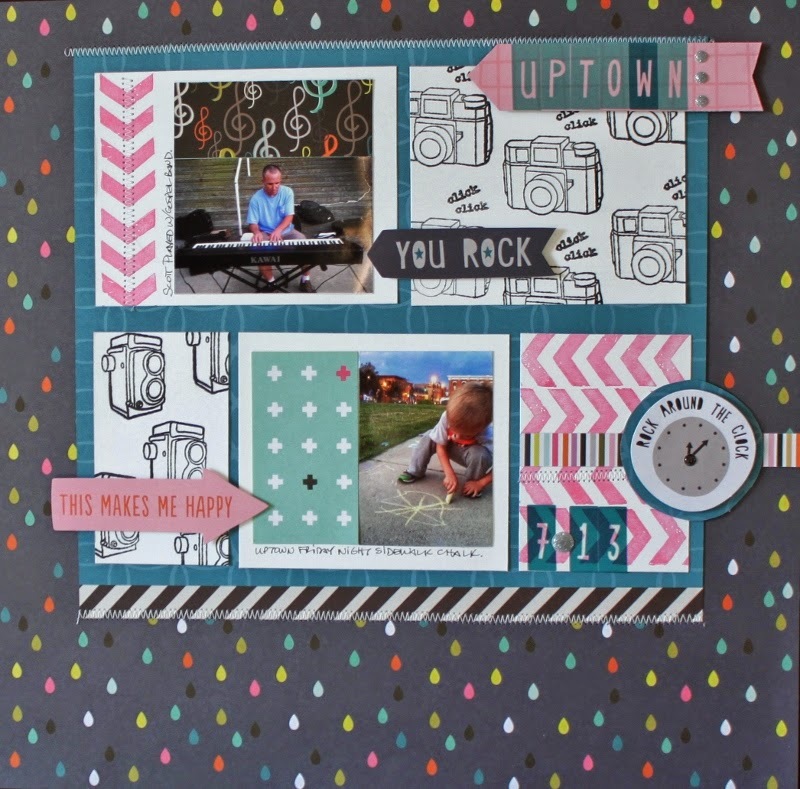 The result is a fun layout grid style, perfect for capturing one of our favorite summer events- Uptown Friday Nights. So now you need to pull out those stamps and make some fun background papers of your own. 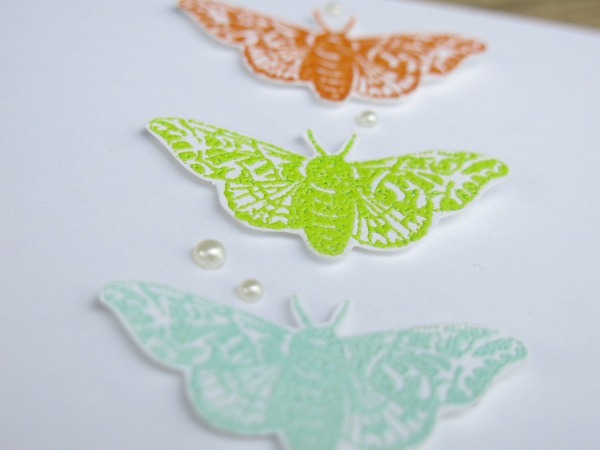 They are wonderful to add to your next layouts or cards, you just might surprise yourself. Hello everybody, Lori with you today. Today’s card is perfect for this time of year with Fourth of July right around the corner and summer upon us. 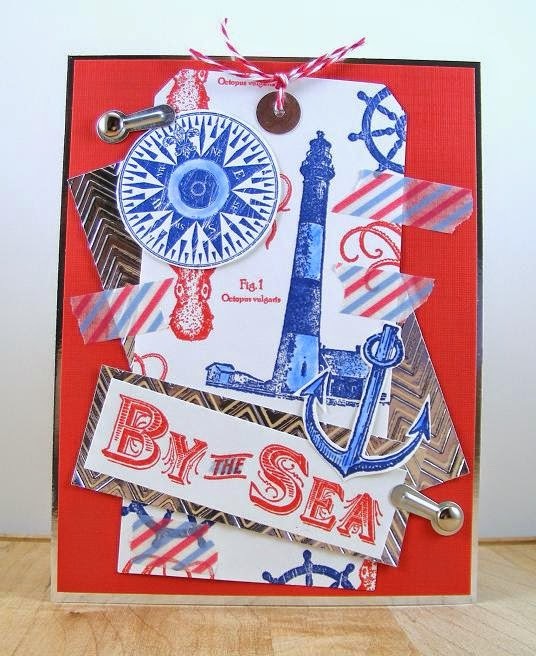 My card was created using the Graphic 45 By The Sea Stamps Sets. Yes , I said sets as I used every single one of them, LOL. I adore them all. 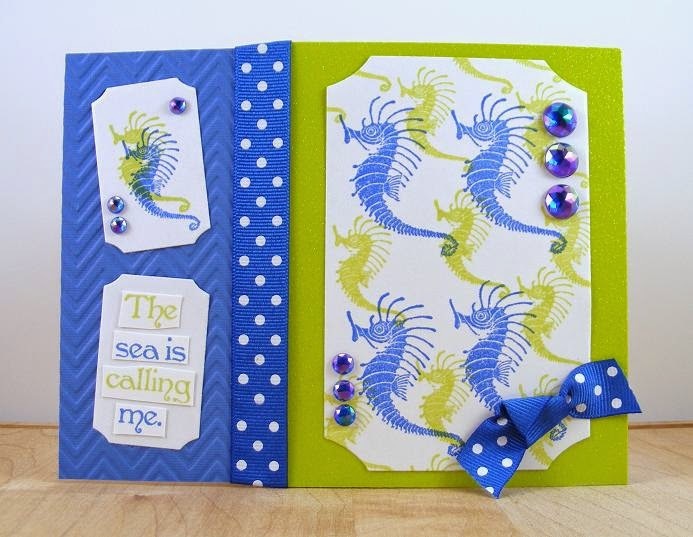 To create a card similar to this one use the Graphic 45 By The Sea paper collection. I cut out the Mermaids wanted rectangle from the paper and randomly stamped various seashells around it with Versa mark Ink, covered with blue embossing powder and then heat set. Next I stamped the mermaid stamp on card stock and colored in with watercolor pencils. The mermaid was then cut out with an X-Acto tool. 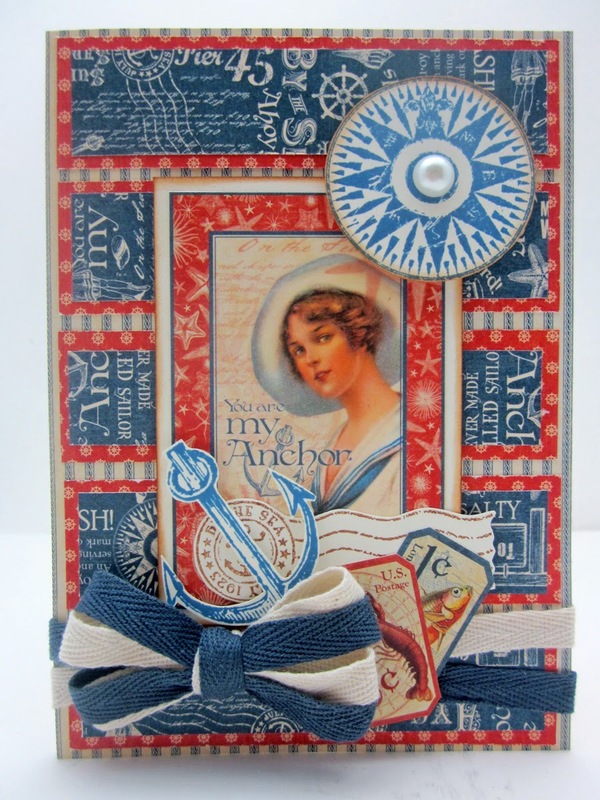 I then stamped the By The Sea sentiment and colored in with watercolor pencils and glued down to some of the dark blue patterned paper. I hand cut around the sentiment leaving a blue border. 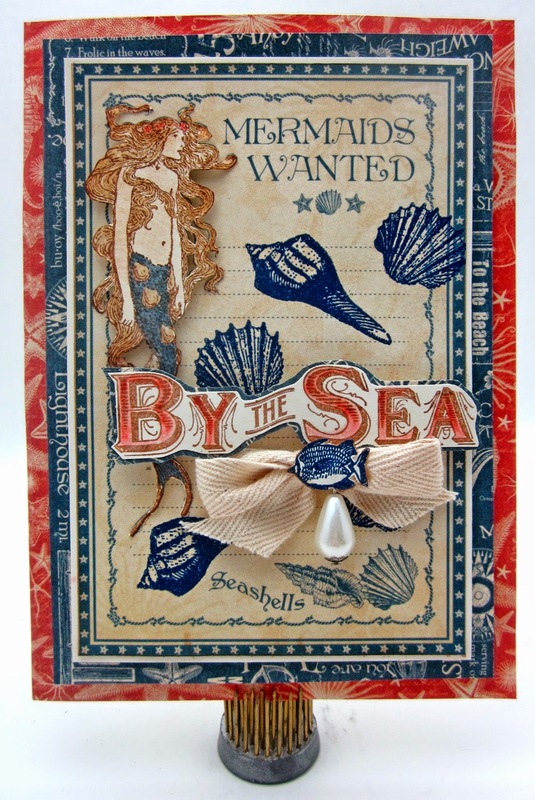 The mermaid and the By the Sea sentiment was applied to the card using foam tape. I then made a bow with canvas ribbon, hung a pearl from the center of the bow and covered everything over with a fish that was stamped, embossed, heat set and the fussy cut and glued down to the center of the bow. The base layers are all attached with foam tape so you have a lot of dimension to the card.